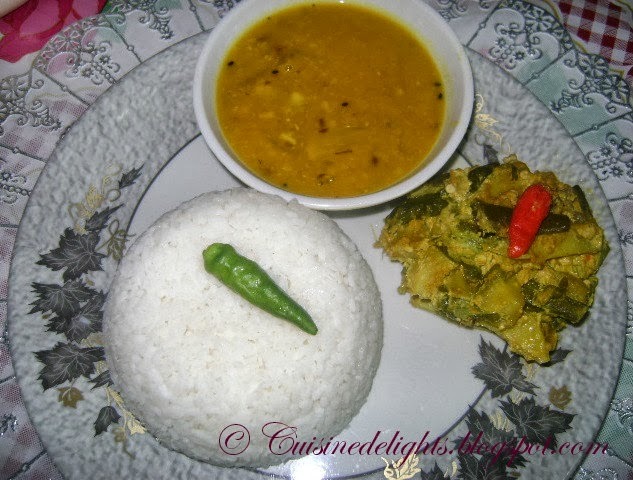 Brinjal bhindi mustard curry is a pure vegetarian side dish. 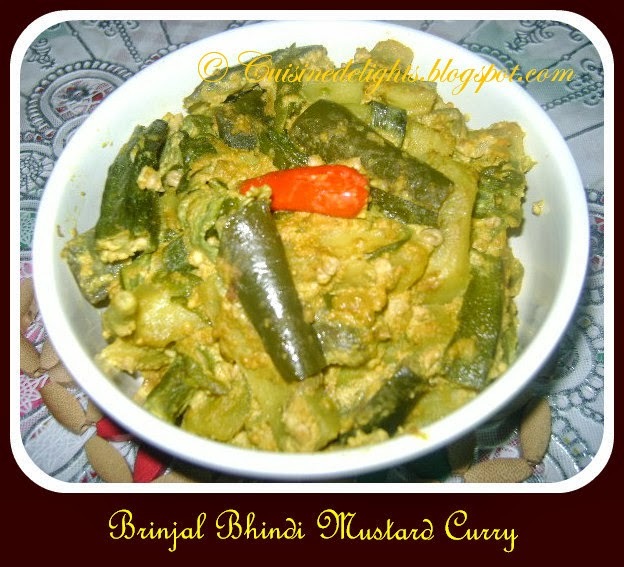 I have made bhindi mustard curry a few times in the past but this time I decided some twist to add in brinjal. The brinjal gets a little mushy and coats itself over the bhindi and potatoes. Mustard curry gives nice aroma and texture in this dish. It is goes well with hot rice and one bowl of dal. 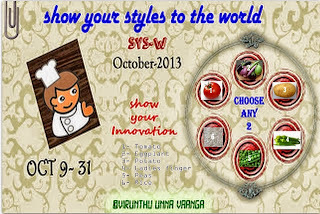 I am sending this to Viji's SYS-W series , an very interesting event where Viji will give you some hidden ingredients, you can choose your own ingredients. 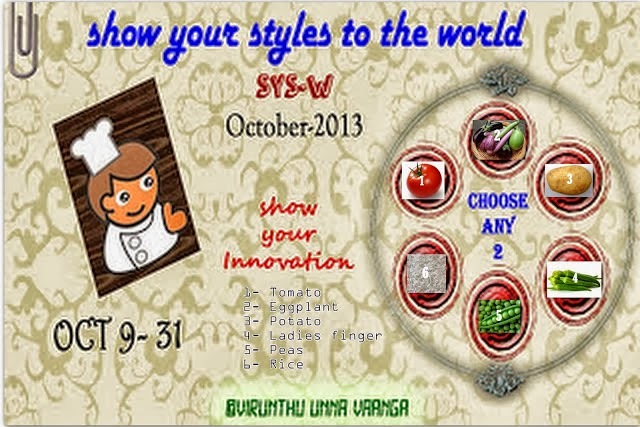 I have chosen 2 & 4 and my hidden ingredients are eggplant (bringal) & Ladies finger (bhindi). Wash and cut brinjal and potato. Wash the bhindi in running water, pat dry and cut in long. Make a paste of mustard seeds, poppy seeds and green chilli with enough water. Heat oil in a kadai add chopped vegetables, salt and turmeric powder, mix well. Cover and cook on medium flame until semi-fry. Then add mustard paste, mix well with veggies. When masala gives nice aroma then add little water on it. Cook veggies till tender. Remove from the heat. Serve with plain rice and a bowl of dal.